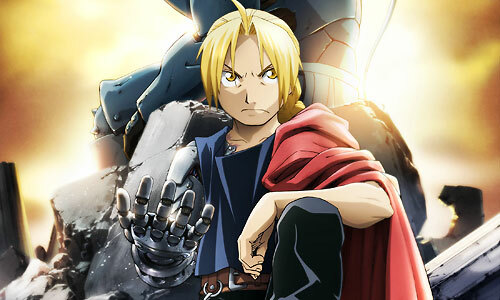 Stream anime episodes for free, you are watching Full Metal Alchemist: Brotherhood – Episode 44 English subbed online and free episodes. Anime Episode guide, Chapter Full Metal Alchemist: Brotherhood – Episode 44 English sub Revving at Full Throttle Al and Winry are welcomed by Rosé and the people of Liore. Meanwhile, Darius, one of the chimeras who helped Ed after he had been injured, goes to a bank and makes a withdrawal from Ed’s State Alchemist research account. However, the military is informed and they storm the clinic where Ed and the chimeras are, though the trio manages to escape from them.